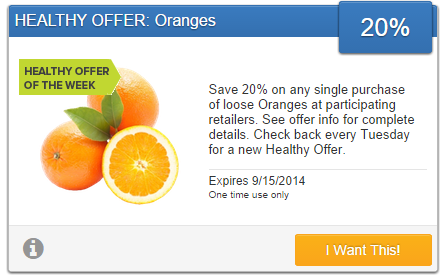 Save 20% on Any Single Purchase of Loose Oranges | A Savings WOW! Save 20% on any single purchase of loose Oranges at participating retailers. See offer info for complete details. Don’t forget that you can link your SavingStar account to your Shop Your Way Rewards account for even more savings!